NORDSTROM SALE 2017: Fall Fashion Essentials + What I Purchased! Happy Nordstrom Anniversary Sale 2017!! Aka "Blogger Christmas" to some fashion bloggers. I planned to wake up at 3 am today to put together this post for y'all... but I ended up needing to "sleep in" until 4:45 am, so forgive this being a little late. 😉 I'm sharing what I think are the best fall fashion picks from this year's sale (And most are under $100! Many under $50 as well), and also sharing what I purchased this morning!! 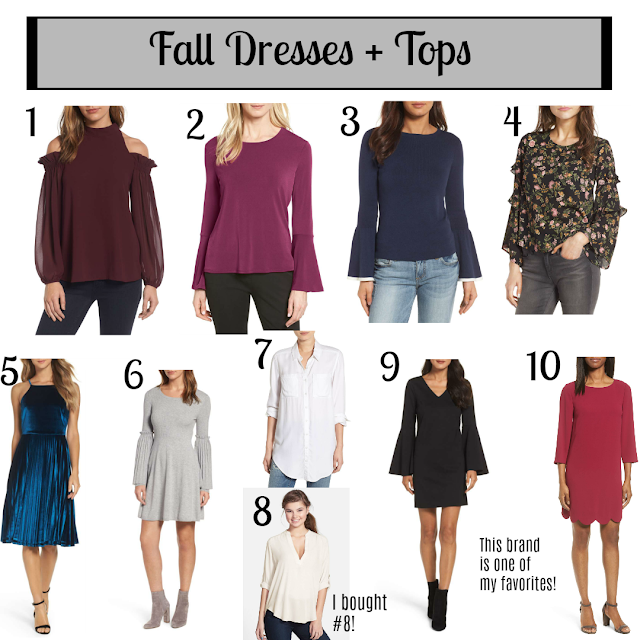 This is a great time to stock up on tops and dresses for fall! The Nordstrom Anniversary Sale always has a great variety of these. I finally caved this year and bought this year's version of the Lush blouse that is sold in every year's sale. It seems like such a versatile top and after looking at it for a few years, I think I'll like it! Living in the South for the last five years, denim wasn't something I splurged on. Sure, it does get cold in the Carolinas sometimes in the winter, but overall it's so mild throughout the year! I am such a dress and skirt girl that I took full advantage of that through the year (and wearing sweater dresses in winter), so I never felt the need to splurge on nice jeans. $200+ jeans also didn't fit into a college budget- let's be real y'all! But now that I live in such a cold part of New England, I'll be wearing denim and other long pants for most of the year! I've tried on AG Jeans before and thought they were SO comfortable, I just could never justify buying them full price. 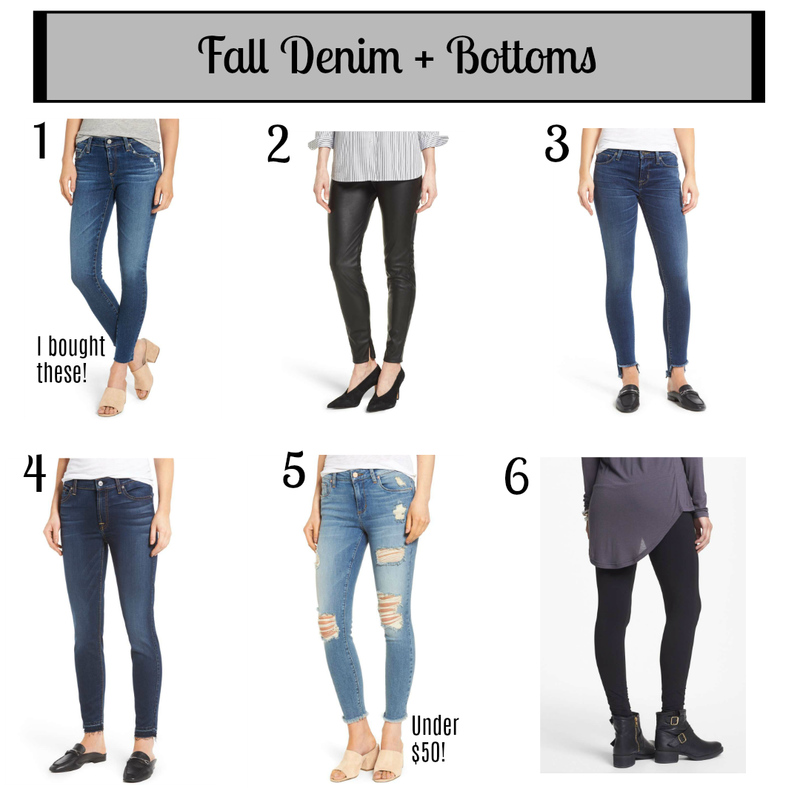 I was so thrilled to see some AG Jeans in this year's Nordstrom Sale! I bought my first pair and am so excited for them to get here. There are tons of other great denim and other pant options in this year's sale too! 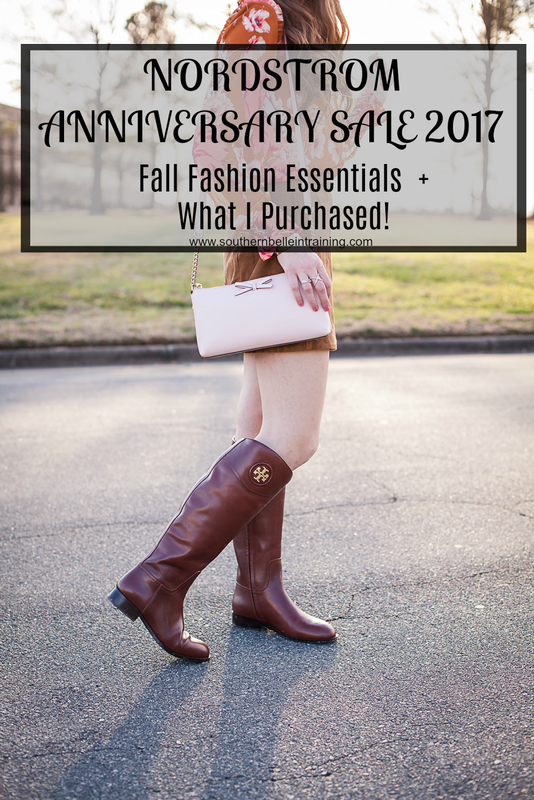 Whenever I think of the Nordstrom Sale, I always think of Tory Burch Riding Boots, because that's what I purchased when shopping in my first-ever NSale a few years ago! This was one of the first designer splurges that I ever bought myself, and I saved up for about a year to buy these boots. Isn't it the best feeling when you save money for so long to make a big purchase, and then finally do it?! I bought a second pair in the brown shade last year (my first pair were black), and these boots are pretty much all I wear in the fall! Back in NC, where snow wasn't really an issue in the winter, I honestly exclusively wore these boots from October-March every year! I would HIGHLY recommend getting yourself a pair if you don't have any yet (I'll probably be buying a third pair next year), and I also HIGHLY recommend getting them before the sale opens to the public next week! Happy Early Access for the sale, y'all! 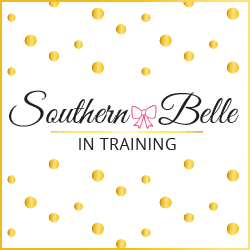 As much fun as it is to shop the Nordstrom Sale and as much as bloggers to promote it- I always do want to remind my readers that it is just a sale. Don't spend above your means, don't buy just to buy, and just have fun with it! It is a great time to stock up on some essential items and pieces for the upcoming fall and winter months, but if nothing floats your boat, that's okay too. Two years ago, I was studying abroad in France when the sale kicked off. Do you think that year I woke up at 3/4 am to start shopping? NOPE!! And did I survive? YES! 😉 I will continue to provide more sale content to y'all throughout the next few weeks, but is this the only thing I'll be posting about- nope!! Tomorrow's post isn't related to the sale at all actually! All of this stuff is so cute! Not going to lie.. I looked for about an hour. Filled my bag. Fell in love & deleted everything haha trying to save money for house renovations! But, window shopping is fun. Hope everyone takes advantage of this sale!! I am dying to buy a cute body suit and a pair of rag & bone jeans but the site is having major issues (as I'm sure you've heard). I have both colors of Tory riding boots too and I agree they are an essential for the fall! 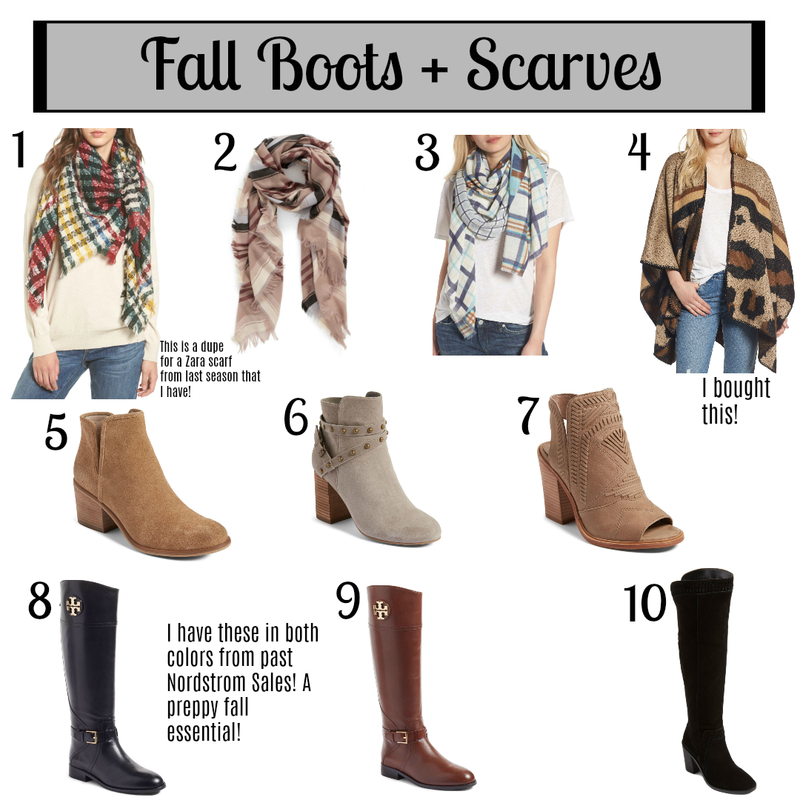 I love 4 and 7 in the Fall Boots and Scarves. So freakin' cute! I love your picks! This sale is so fun to shop, I keep finding things I want haha! I got some jeans, booties, and cardigans haha. Dang girl, that's still so early! I stocked up on sweaters, but I was loving all the different bell sleeved items! I'm wondering how many purchases I'll make during it:). Love these denim picks for sure! Classic! Love all your picks! I didn't shop this year, but I love seeing what everyone else is picking up! I love that you added that little disclaimed about it being "just a sale" at the bottom because it's so true! It's so easy to get caught up in all the blog posts and the excitement and over-buy, but this year I had to be extra careful because I don't currently have a job so we're living off one income at our house. I was able to pick up two great pieces that will hopefully be wonderful, long-lasting items for this Fall! I'm SO into everything you picked - this sale is crazy! That poncho you got is ADORABLE! Love, love, love your disclaimer at the bottom... it really is just a sale. I don't do it because there is too much hype, BUT I am absolutely loving your items!! Love the all your footwear purchases. Nothing like scarves to make an outfit pop!